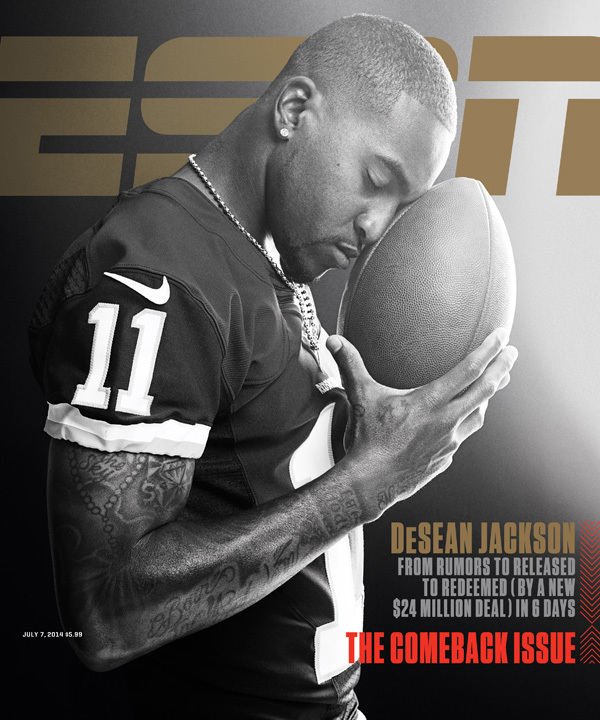 Congratulations to our CEO, DeSean Jackson, who graces the cover of the ESPN Magazine, “Come Back Issue”. 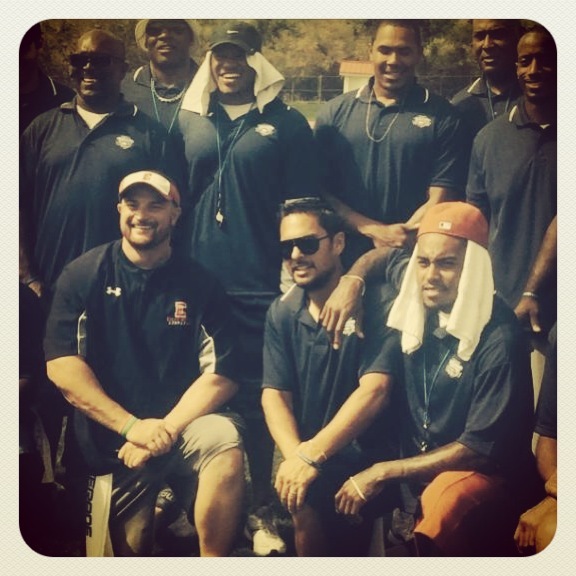 – The DeSean Jackson Foundation Staff. 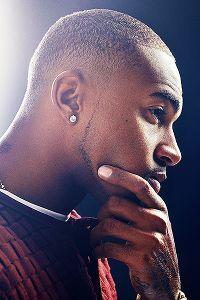 DeSEAN JACKSON HAS an interesting linguistic tic that surfaces whenever he talks about things of the “illegal” or “unsavory” or “criminal” variety. After parking his lengthy two-tone Rolls-Royce outside an East Hollywood café one day in late May, Jackson ambles in and begins speaking about his relationships with “certain people” who do “certain things.” People presumably involved in potentially illegal or dangerous activity are “certain people.” Things that may be done outside the parameters of the law are “certain things.” Combined with his habit of speaking softly, as if to avoid the prying of eavesdroppers, this intentionally vague use of “certain” makes clear that Jackson, 27, is a man working hard to avoid giving ammunition to those who would seek to destroy him with his own words. How Jackson went from rumors to released to redeemed in six days. It’s maybe not the most unique sentiment for someone in high-level sports, in which sweat and hustle through hardship are professional obligations. But Jackson is more familiar with struggle than most. Earlier this year, after coming off the most successful season of his professional career, with 82 catches for 1,332 yards and nine touchdowns, Jackson was cut from the Eagles, his first and only NFL team since joining the league in 2008. Though he signed a $24 million deal with Washington just six days later, the shock waves from his release lingered, exacerbated by the maelstrom of confusing and contrasting rumors that Jackson was cut because he had gang ties. Attempting to find the true story behind the speculation reveals the primary tension at the heart of the turmoil, a tension that has implications for how the league will do business in the coming years: Jackson likes to believe his life began the day he was born, while some people would rather he pretend it began the day he joined the NFL. 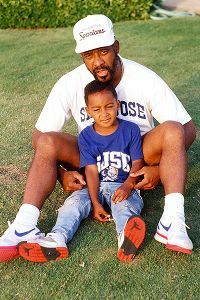 Bill Jackson spent two decades trying to get his son to the NFL. After Bill’s father died in 1979, Bill and Gayle moved to Southern California to start over. When Bill’s eldest son, Byron, graduated from high school in 1986, Bill moved him from the Washington, D.C., area, where he’d been living with his mother (Bill’s first wife), to LA so he could play football year-round. Byron, who had displayed some athletic talent but was never a star football player, says his dad was “determined” to see him play in the NFL, so much so that Bill used to close his letters to Byron during his high school years with “Think NFL!! !” DeSean was born in December of that year. With hard work and a lot of pushing from Bill, Byron eventually became a wide receiver at San Jose State. After college, he got picked up for the Chiefs’ practice squad, but he washed out after two seasons. He tried his hand at the Canadian Football League and the World League of American Football (NFL Europa), but his heart wasn’t in it anymore. “I was more doing it for my dad than anything else,” says Byron, now 46 and an editor at Fox Sports. When Byron finally broke it to his father that he was abandoning his attempts to play professional football in 1994, Bill grew angry and began throwing Byron’s clothes onto the street. According to a documentary Byron made about DeSean, the two began to scuffle, and the argument got so out of hand that Bill wound up pointing a handgun in his son’s face. Byron left the house, telling Bill he never wanted to see him again. From then on, Bill began focusing all his efforts on DeSean. Since he was 5 years old, 4-foot-nothing and 40 pounds, DeSean had been a sight to behold: thin enough that it looked like his pads might slip right off but faster than everyone else on the field. When he threw his head back on a run, as if the force of the wind were too much to bear, that’s when you knew he was gone. When DeSean was 8, Byron tapped a network of friends to comprise DeSean’s personal training camp, which they eventually began calling Team Jackson. But even with a team of adults guiding him, the path was tough. Jackson says his parents’ jobs — Bill was a bus driver, Gayle was an assistant at a record label — “just barely put food on the dinner table.” His mom and dad split when he was 7, and his mother relocated to Atlanta. Though DeSean went to live with her briefly during her first year in Georgia, Gayle ultimately agreed to let him move back with his father; she thought it was important for him to have the “male mentorship” Bill and Team Jackson provided. By then, Bill was living in South Central, a neighborhood that became synonymous with gangs and violence in the 1980s and ’90s. 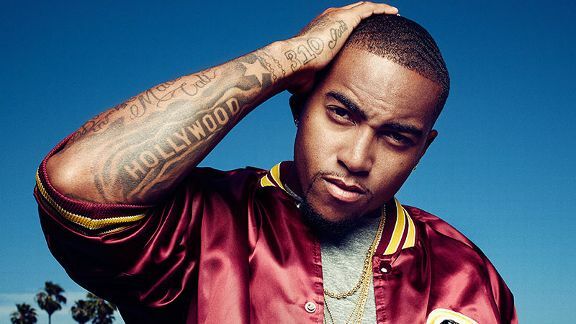 DeSean says he was only 12 when he saw another boy get gunned down in a drive-by. 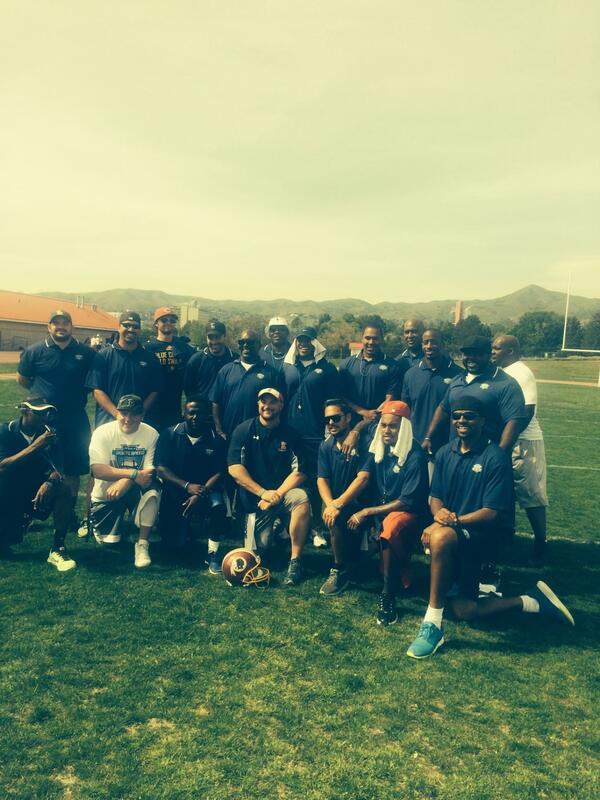 Bill decided to enroll his son at Long Beach Polytechnic High, the best football school in Southern California. The commute was an hour each way and involved a walk through various gang territories, a bus ride and then a train ride through rough neighborhoods to downtown Long Beach. “On a daily basis I witnessed a lot of violence, a lot of drug abuse,” Jackson says. It’s easy to read about Jackson’s upbringing and make assumptions about his involvement in a gang. But according to Jackson and those closest to him, life in the neighborhood was more complex than many care to understand. In Jackson’s interactions with “certain people” who did “certain things” during his childhood, there was an unwritten agreement: DeSean was going places, and so he had their blessing to avoid the paths they’d chosen. In return, he would not look down on them or turn his back on them. In fact, if you ask Gayle Jackson, she’ll tell you DeSean’s loyalty is one of his most frustrating qualities. 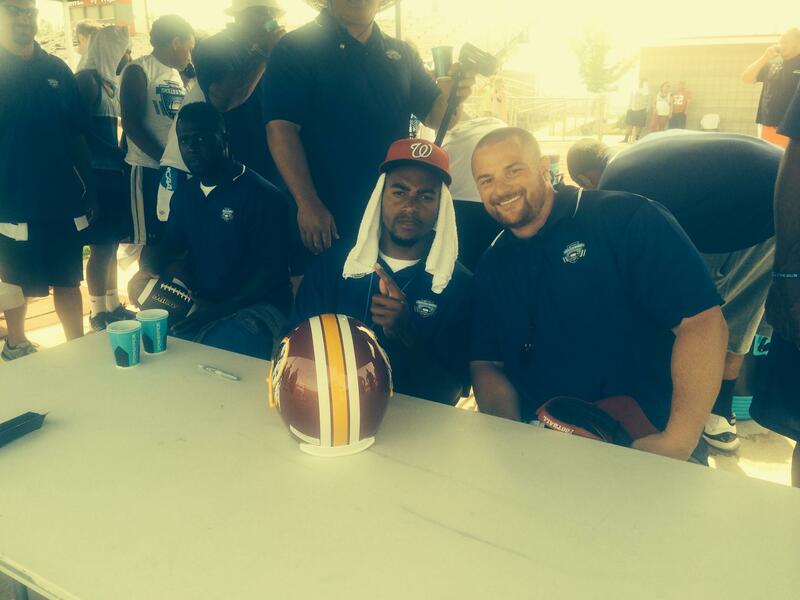 HERE IS WHAT DeSean Jackson will say about the gang rumors: Does he know people in gangs? Yes. Does he associate with “certain people” from time to time? Yes. Is he in a gang himself? No, nor has he ever been. The “troubling associations” described in an NJ.com article on March 28, the day Jackson was released, centered largely on his relationship with Theron Shakir, a rapper signed to Jackson’s Jaccpot Records music label. (Jackson raps as a hobby.) In 2010, Shakir and a man named Marques Binns were arrested and charged with a gang-related homicide. Shakir was acquitted of the crime in 2013, and Binns, who was convicted and is now serving 15 years to life, told NJ.com that he does not know DeSean Jackson. He’s been dogged by other “maturity questions” — reports of missed meetings, his occasional trolling of LeBron James on social media and a grievance filed by agent Drew Rosenhaus alleging Jackson failed to repay $400,000 in loans. (Jackson alleges the payments were illegal bribes.) But if everyone agrees that he never broke any laws or NFL regulations, then the overriding concern surrounding Jackson boils down to some people’s discomfort with his ongoing connections to his roots. Rather than taking Instagram photos with the likes of Theron Shakir, the thinking seems to go, Jackson should be distancing himself from his past, not broadcasting it. Never mind that Shakir was acquitted of any wrongdoing. Never mind that this thinking requires Jackson to behave as if the first 18 years of his life were void of real relationships and authentic experiences. Long-standing connections, normal and healthy for everyone else, are “troubling” when it comes to Jackson. IT DOESN’T HELP Jackson’s case that since June of last year, prosecutors have handed down two separate murder indictments against former Patriots tight end Aaron Hernandez, who is rumored to be affiliated with the Bloods. But according to Harry Edwards, a professor emeritus of sociology at UC Berkeley who also serves as a consultant for the 49ers, the NFL’s gang worries are just beginning. To explain why, Edwards points to a shift in player demographics — two-thirds of current NFL players are black, compared with 12 percent in 1959. He thinks that shift is only going to escalate, in part because of the epidemic of brain injuries that already has wealthier white families shuffling their sons away from the sport’s risks. An HBO Real Sports/Marist poll from October of last year showed that 66 percent of Americans with a household income of $50,000 or more had heard a great deal or a good amount about football head injuries, compared with just 47 percent earning less. 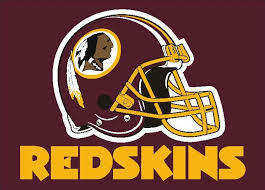 The same poll showed that 20 percent of nonwhites had heard nothing about football-related concussions, compared with 12 percent of whites. “In a decade, the only people who are still playing football will be African-Americans and working-class people,” says Edwards. Joe Pugliese for ESPNJackson works to avoid giving ammunition to those who wish to destroy him with his own words. Today, Gayle Jackson says that what she finds most hurtful about the rumors hanging over her son is that they insult the memory of Bill Jackson, who died of pancreatic cancer in 2009. “Now, you’re talking about a father who went to his grave making sure he was keeping this kid out of trouble,” she says. Jackson says the best lesson he has learned over the past few months is that “your private time is your private time, and you don’t always have to show people what you’re doing” on Instagram and the like. Otherwise, he’s going to stick to the formula that’s been working for him for years, ever since Team Jackson came together like Voltron to build him into the man he is today, ever since Bill Jackson looked at a 5-year-old no heavier than a sack of flour and told him he was going to be an NFL star. Of that, DeSean Jackson seems quite certain. 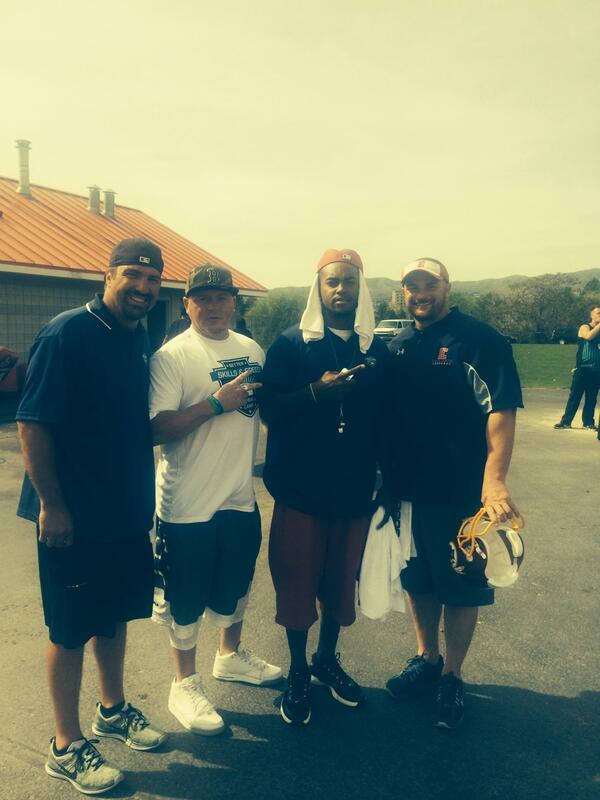 During the off season, Brandon Matich, Head Football Coach, at East High School, Salt Lake City, extended an invitation for DeSean Jackson, Wide Receiver, Washington Redskins, to facilitate a meeting with his students. 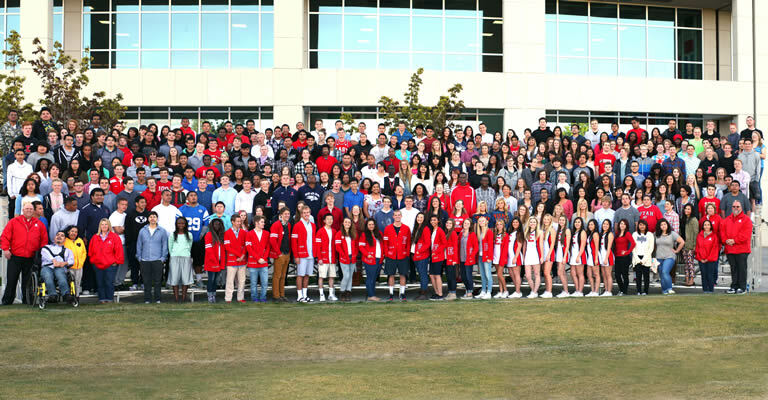 Jackson, who maximizes every opportunity to motivate and inspire youth, immediately accepted the invitation with the stipulation that the event incorporate Jackson’s interest in promoting healthy lifestyles, anti-bullying and serving others. 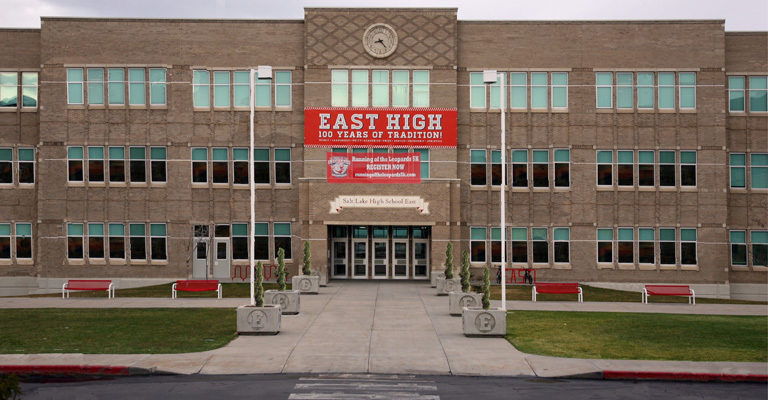 We extend or sincere thanks to Coach Matich and East High School for this opportunity to showcase our CEO, DeSean Jackson, Team Jackson and The DeSean Jackson Foundation.